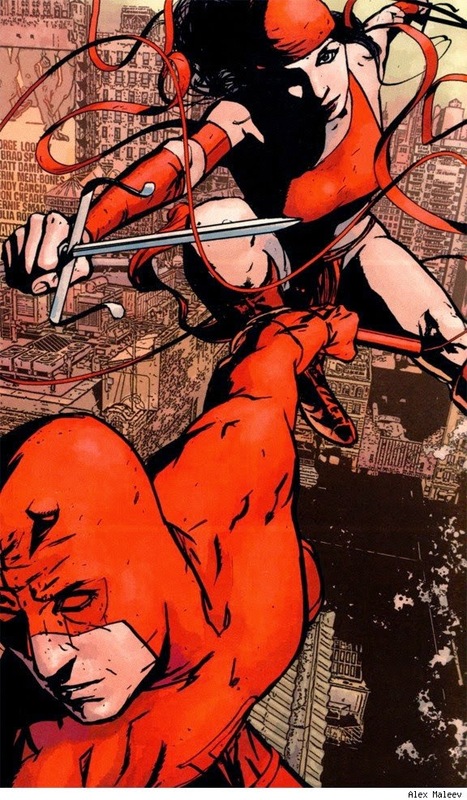 As Marvel worked to make its way out of bankruptcy it gave a couple of indy creators a chance to play in the world of Daredevil (after Kevin Smith put the book back on the comic map with his 8-issue storyline drawn by Joe Quesada a few years prior). 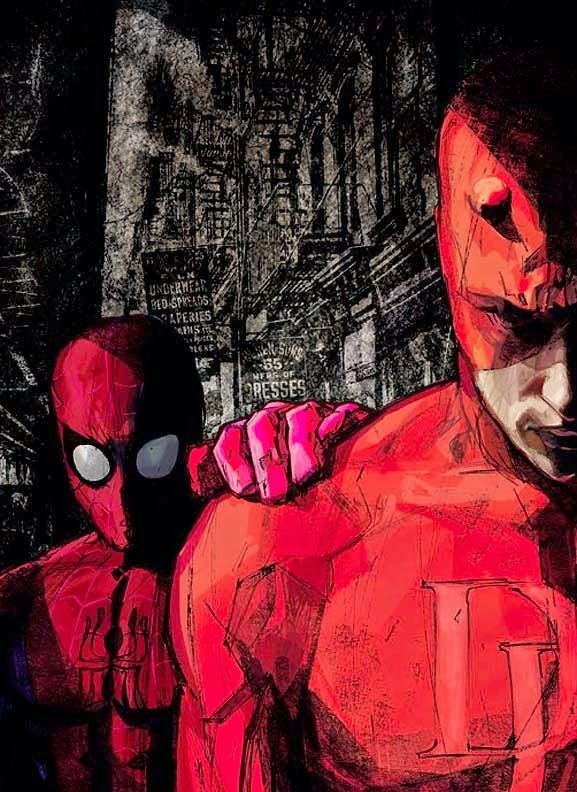 In 2001, Brian Michael Bendis and Alex Maleev began what would become a defining series for both of them, as well as for the character. 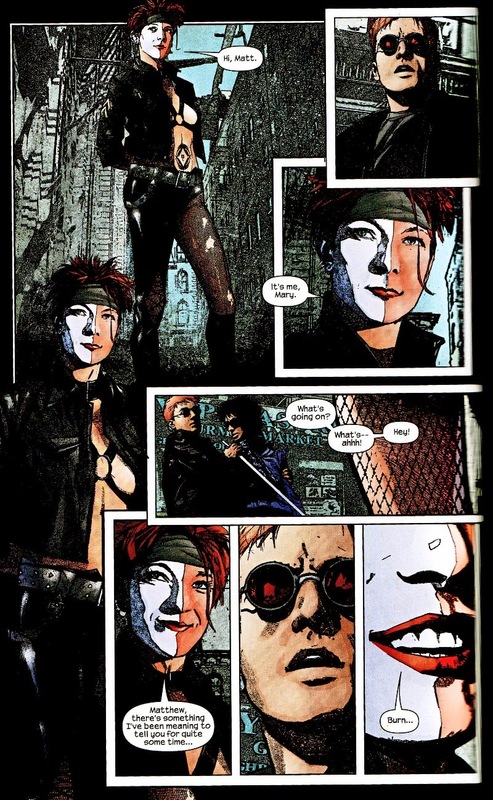 It was a return to the hard-bitten streets of Hell’s Kitchen, as embraced by Frank Miller, Klaus Janson, David Mazzucchelli, et al. in the late 70s and 80s, with a high concept that would turn ol’ hornhead on his ear. 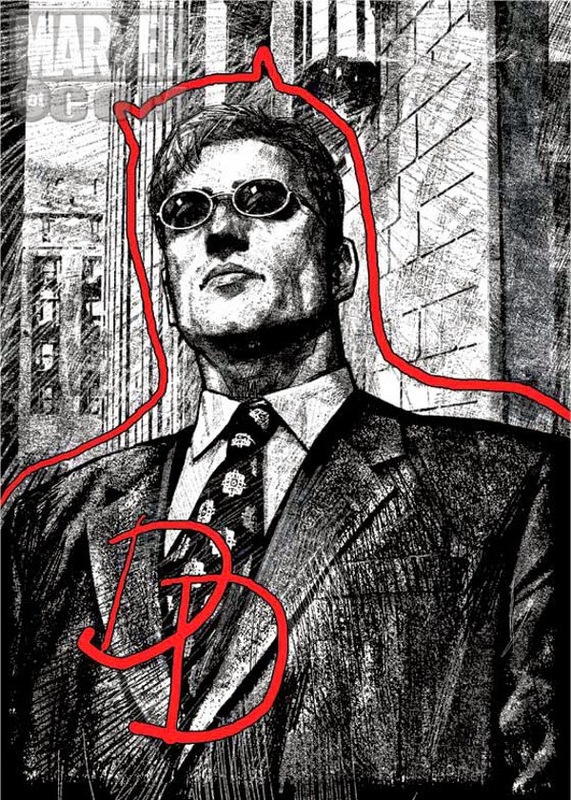 In the seminal Daredevil storyline, “Born Again,” Miller and Mazzucchelli had the Kingpin discover that blind lawyer Matthew Murdock was actually his most frustrating nemesis, Daredevil. In these seven issues, Wilson Fisk (the Kingpin) used the information to beat down, both emotionally and physically, Matthew Murdock and then sent him off a pier in a taxi cab to his death. But Murdock survived and eventually came back, as all heroes do, to defeat the Kingpin without sacrificing his moral center. It’s an incredible story. And nobody ever picked up that significant bit of continuity again. Until Bendis and Maleev came along. They opened their four-and-a-half year run with the outing, in the tabloids, of Matt Murdock as Daredevil. From there, they wove interesting stories that brought a number of characters back to the forefront of the Marvel universe like Power Man and Iron Fist, along with newer creations like Jessica Jones. It was a series of comics that found critical and commercial success and made Bendis and Maleev superstars in the comic industry. I recently went back and read through my collected editions of these stories, and for the most part, they are as enjoyable and intriguing as when I initially read them. But I did not find them to be as good as they were on that first reading. Reading these issues all in big chunks, with the collected editions, I think the stories suffer a bit from being read in this fashion, despite the neatly packaged storylines (often 5 issues, sometimes 6) Bendis and Maleev crafted. But I think they would have read far better month to month as they were initially being published. One aspect that hampered my appreciation of the stories was the dialogue tics found in Bendis’s characters. Certainly, this is a hallmark of Bendis, as a writer, and part of what has garnered him such wide appeal with fans, and I would mark myself as one of those. It wasn’t so much the dialogue, per se, as much as the need – it feels like a need, a compulsion, on Bendis’s part – for him to infuse this hesitating cadence into much of it. Sure, one could argue that he was attempting to infuse a sense of tension and fear, on the part of the characters, by doing this. Except that it appears to infect almost every single character who walks “onstage” in the book. If it were unique to one individual, it might be less off-putting, but when I started running into this stuttering in storyline after storyline, it soon began to grate on me. 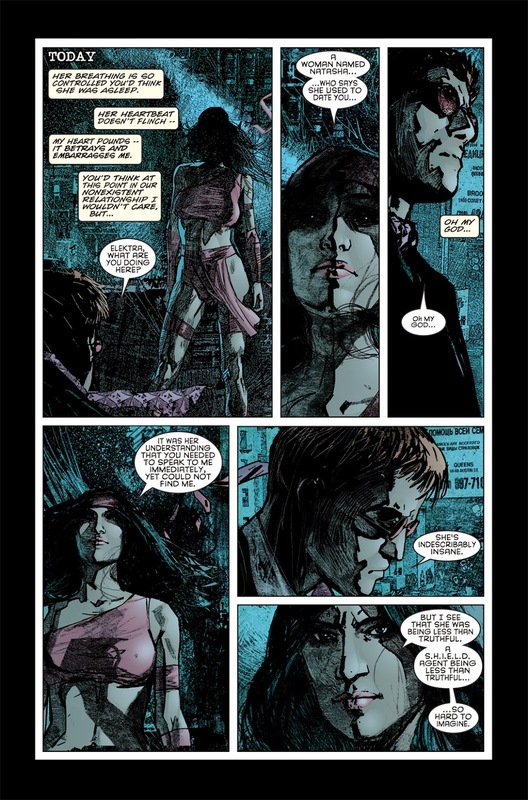 Another aspect of this run that becomes far more obvious – and, for me, bothersome – when reading these DD stories all in a run is Alex Maleev’s use of repeated images within different panels. 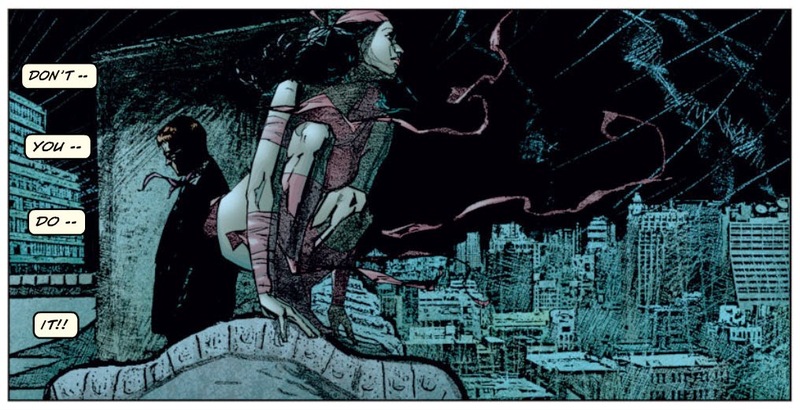 Compounding this, for me, is the fact that Maleev’s artwork is all-digital, and he would often pull in closer onto a detail from a previous panel, which is a good effect, except that the clarity of the linework would deteriorate when he zoomed in on the image for the later panel. Again, this is a good tool in the comic storyteller’s toolbox, zooming in on a character to show tension or some other emotion, depending on the context of the scene. But there are many cases where the same image is used multiple times (look at Sammy Silke, Jr. in the first storyline, “Underboss”), which pulls me out of the story because time is supposed to be passing in a scene but this character hasn’t so much as twitched the whole time. There needs to be some change in the character, otherwise I become far too aware of the fact that I’m “reading something” rather than allowing myself to become immersed in the story. And this technique is peppered throughout the entire run, to a point that becomes frustrating. For me. Now, these two, admittedly subjective, faults can be overlooked, especially if the stories are good. And they are pretty damn good. But with the final storyline – “The Murdock Papers” – Bendis and Maleev take the train right off the tracks. 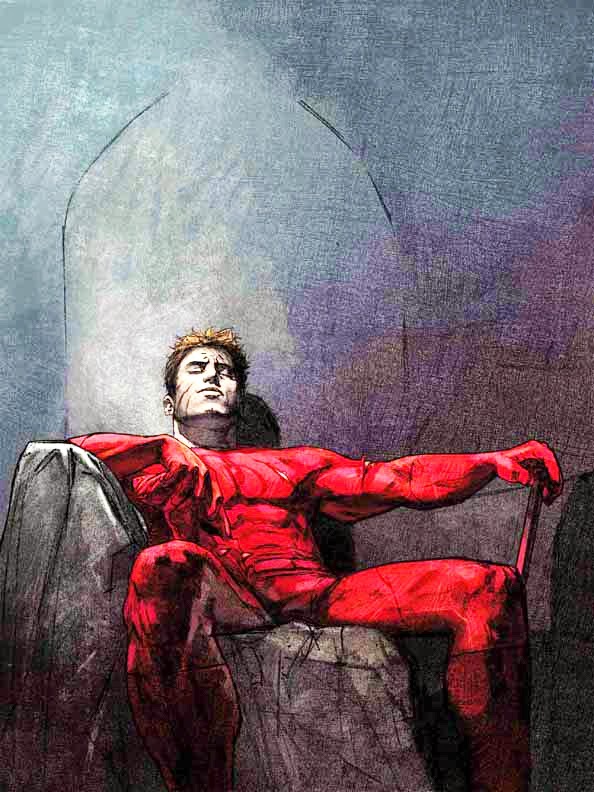 In this culmination of their run, the Kingpin agrees to give up the evidence he has proving Matt Murdock is Daredevil, if the U.S. government will drop the charges against him, release his assets, and allow him to leave the country and live out the rest of his life. As an insurance policy, Wilson Fisk gives the story to Ben Urich. Urich writes the story and it is, obviously, front page news. Hyperbole aside, this is completely out of character for Urich. Not only has he already come through the Kingpin’s threats and pressure on his family in the “Born Again” storyline, but I also just re-read Daredevil #164, “Expose,” wherein Ben Urich first discovers Daredevil’s secret identity and takes this information to Murdock, who is in the hospital (still masked, naturally). They discuss the entire thing, and in the end, Urich burns up his notes, despite the fact that it would have earned him a Pulitzer, because he knows the city, and especially Hell’s Kitchen, needs a hero like Daredevil. 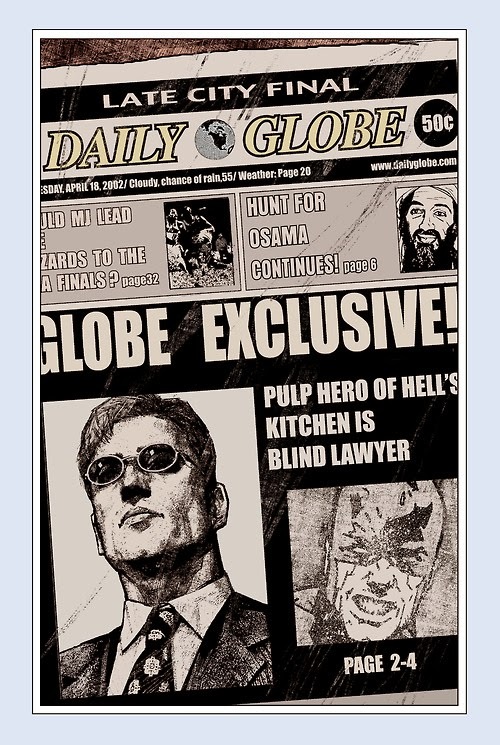 And yet, at this point, we are to believe that Ben Urich would write a story that as much as states that Murdock is indeed Daredevil – lending far more credence to the rumors that began early in this run, since those stories came from the tabloids, not a bastion of journalism like The Daily Bugle. This took me right out of the story, even though the underlying plot of the Kingpin was an elegant little plan. It’s too bad. It may seem a minor point, but there needs to be internal consistency for any fictional narrative to work, or else the entire thing might collapse under its own weight. Did this final crack in the foundation ruin the overall run for me? Not necessarily. But I don’t know that I’ll be going back to this series of comics with as much fervor the next time. If I ever do choose to revisit it.